In The Landscape Photography Book from Rocky Nook professional photographer and bestselling author Scott Kelby shows you how to photograph and edit breathtaking landscape photos. Scott discusses in detail everything from his essential gear to camera settings to the photo techniques that will help you capture a wide variety of landscape locations and situations. 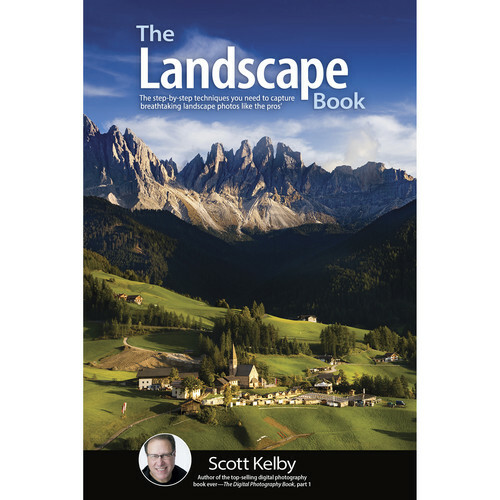 Whether you are looking to capture a beautiful scene at sunrise, shoot a silky waterfall, create star trails at night, or show an epic vista in a sweeping panorama, Scott Kelby has you covered in this comprehensive and beautifully photographed book.